six former senior enlisted leaders—each of whom reached the highest levels of the Pentagon—share their personal stories, experiences, and lessons learned through a lifetime of service. With leadership at a premium in both the public and private sectors, the authors weave their hard-earned philosophies and experiences into the book, describing along the way how and what it takes to become an effective leader. The authors include: Ken Preston, 13th Sergeant Major of the Army (retired); Mike Barrett, 17th Sergeant Major of the Marine Corps (retired); Rick West, 12th Master Chief Petty Officer of the Navy (retired); Jim Roy, 16th Chief Master Sergeant of the Air Force (retired); Denise Jelinski-Hall, 3rd Senior Enlisted Advisor to the National Guard Bureau (retired); and Skip Bowen, 10th Master Chief Petty Officer of the Coast Guard (retired). With a foreword by General Peter Pace, United States Marine Corps (retired) and 16th Chairman of the Joint Chiefs of Staff, and more than 50 endorsements from military officers and senior enlisted leaders, Breaching the Summit offers meaningful insights and practical, clear, and proven guidance to every level of military leadership as well as to leaders in government, in businesses and in boardrooms, and in every program designed to develop future leaders. Summit Six, LLC was founded in 2017 by six former senior enlisted advisors to a member of the Joint Chiefs of Staff. The group’s mission is to improve the leadership abilities throughout America’s workforce by using the skills, techniques, and experiences gained from military service, post-military corporate careers, hard-work, commitment, integrity, and respect for others. Summit Six provides world-class, transformational leadership coaching, organizational change management, workforce development and alignment, and motivational speaking solutions. 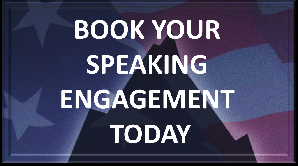 To book a speaking, leadership coaching, or workshop engagement, please click here.